Mr. Blue’s Baby Guppie classes are designed for both the parent and child to learn water safety skills together in a safe and fun learning environment. In these classes we help guide both parents and children in swimming skills such as blowing bubbles, breath holding, kicking feet, rowing arms, reaching for and choo-chooing along the wall. Every child must have one parent in the water for our classes. We recommend 18 months and older for our 5 Day Fast Track Program. Any child that is younger than 18 months must be enrolled in our Parent-Assisted class for a minimum of 3 months and be evaluated by a Swim With Mr. Blue instructor before we enroll them in our 5 day swim program. Children in our program need to be both safe and independent in order to move forward in their swimming abilities. Therefore, we do not teach children 18 months to 3 years old in a group until they are able to get back to the wall on their own. 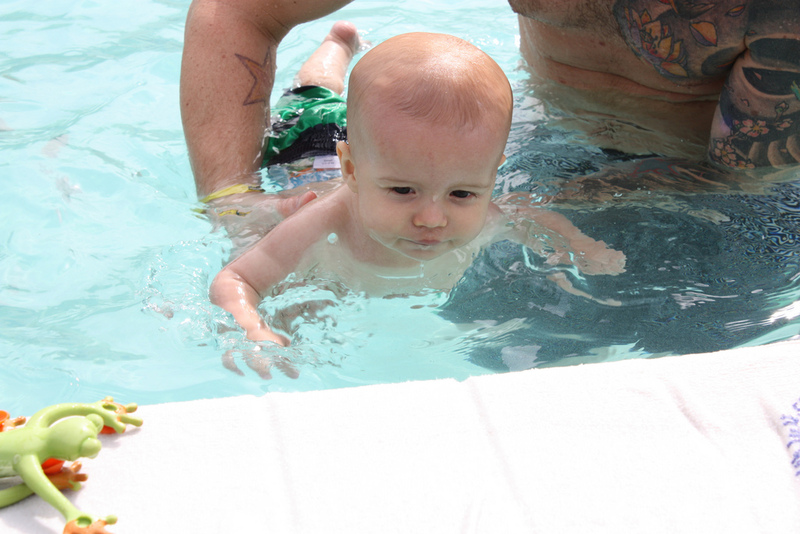 Swim with Mr. Blue’s 5 Day Swim Safe Program is the foundation to your child’s swim safety. Email TeamBlue@SwimWithMrBlue.Com to schedule your classes today!! Pricing above does not include swim insurance fee of $40 for the first child and $15 for the second child (Family is $55) .